I am the kind of girl who really doesn’t like carrying handbags with her. Yes I know there are many girls who just cannot step outside without a handbag. I usually carry my three cell phones (one in pocket, two in my hands!) and few tissues in my jeans pocket. When my fiancé got to know about this good bad habit of mine, he gifted me two handbags along with other gifts on my birthday. As the bag is so classy, now I have slightly developed a habit of carrying it with me whenever I step out of the home. 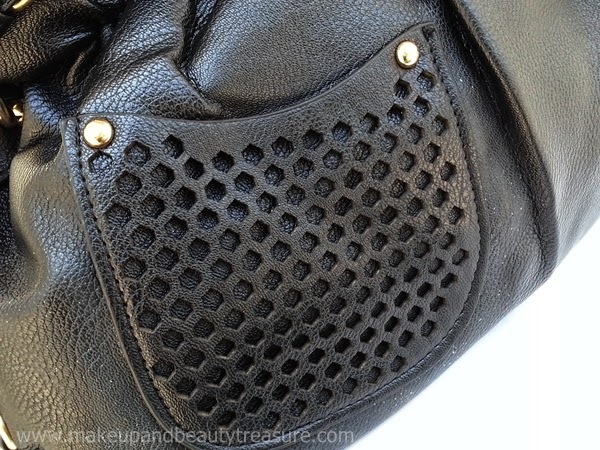 Today I am going to review Hotberries Black Handbag. 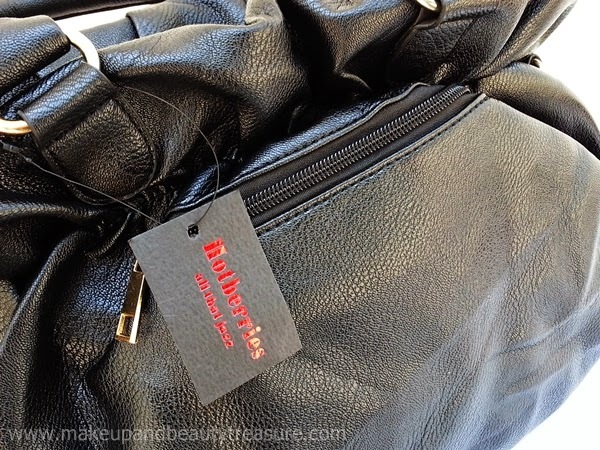 Hotberries Black Handbag is black in color with leather type texture but when I read on the website I got to know it is made from polyurethane. What attracted me the most about the handbag is its shape and size! There are two outside pockets: 1 slipped pocket with hexagonal cut out detail on the front and one zipper pocket on the back. I keep my slips or tissues in the slipped pocket while lip balm, lip glosses, peppermint in the zipper one. 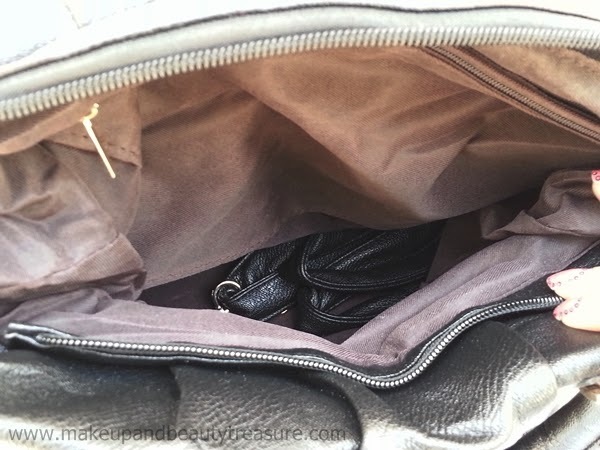 I love outside pockets as they are easy to access and I don’t need to search the whole bag. The bag can be used 3 ways- as a handbag, a shoulder bag or a cross body bag. 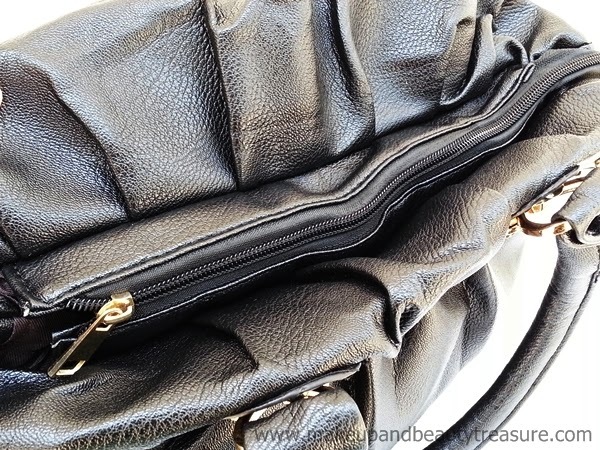 There are buckles on either side of the handbag that allows you to carry it as a cross body bag. 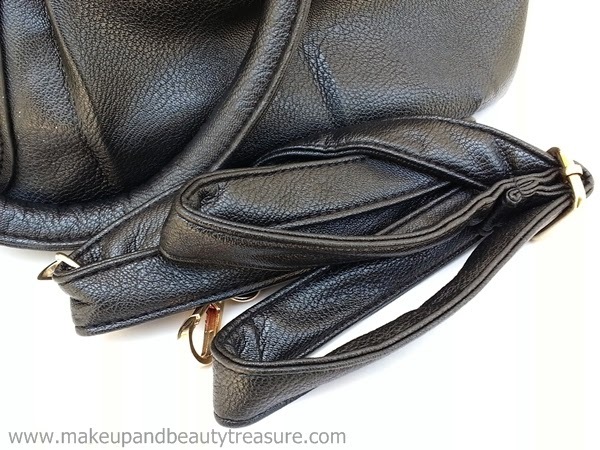 The top edge of the handbag looks beautiful with golden metal loops. There is a long strap provided in the bag that allows you to use in case your bag is overloaded. 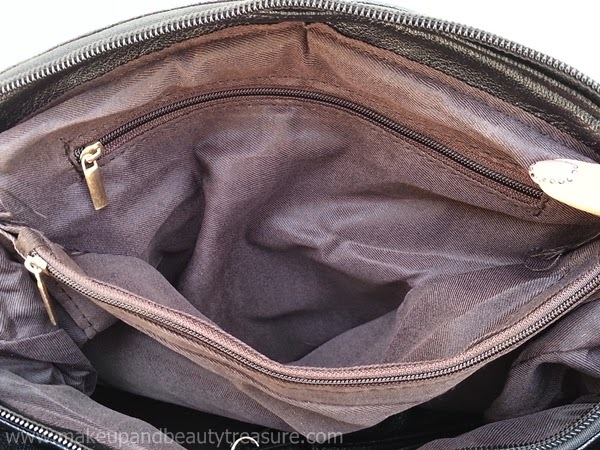 Inside the bag, there are two compartments, separated by a zipper pocket. One compartment also has another smaller zipper pocket that easily stores coins, rings and other small things. I keep all my essential things in my bag like compact powder, tissues, lipstick, lip gloss, lip balm, Avene Thermal Spring Water Spray (A must have for me! ), wallet, mobiles, keys and few other things. The bag is of practical size and can be sported with any outfit. It is of very good quality and would last me for many years to come. • Can be used in many ways. • Has two outside pockets. • Inside the bag there is a huge space to keep many things. • Goes well with all outfits. • It has classic style. • Availability. Currently out of stock on Myntra! All in all, Hotberries Black Handbag is a fantastic handbag that not only looks great but is of superb quality. It has large compartments that would accommodate all your essential items easily. It feels light and I love using it as shoulder bag. I got many compliments whenever I take it with me. I would definitely recommend it to everyone! 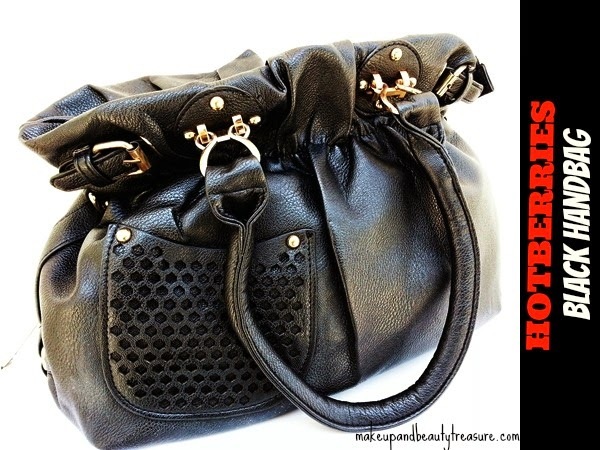 Have you tried Hotberries Black Handbag? How was your experience? Share in the comments below!